Jackie Fo: Caprese in it's many lovely and delicious forms! 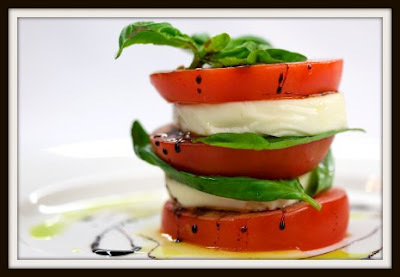 The classic Caprese Salad...you just can't go wrong with this ..you just CAN'T! 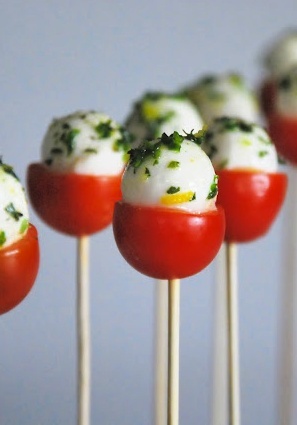 How stinkin' cute are these caprese pops? OMG! The Caprese Skewer...fun to eat and pleasant to look at! 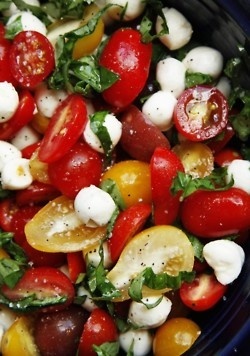 Mix it up with different colors like in this fresh looking salad! Holy chips and dips...that's right, this is a Caprese Dip... I must admit, I've never tried making this. I think I'm afraid I'll try to make it every day and immediately gain 400 lbs. As with most things, if you put it in pasta, I'll eat it. 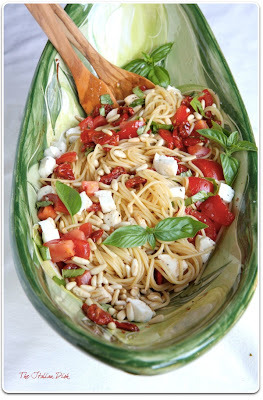 Caprese Pasta...YUM. Only one other thing besides pasta could make this combo even better - my good friend, a steady confidante, and someone who is there for me when times get tough...you guessed it - The incredible, edible Bread. 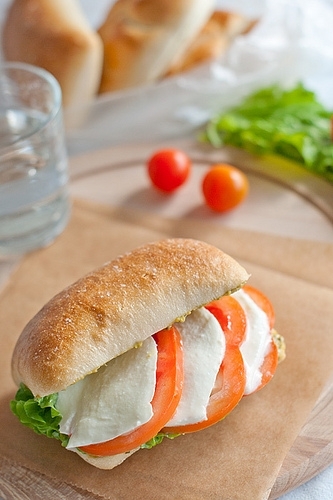 Mmm...Caprese Sandwich. 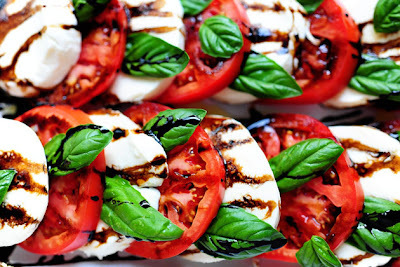 After looking at all these gorgeous, fresh photos, I'm really craving some Caprese. Aren't you? 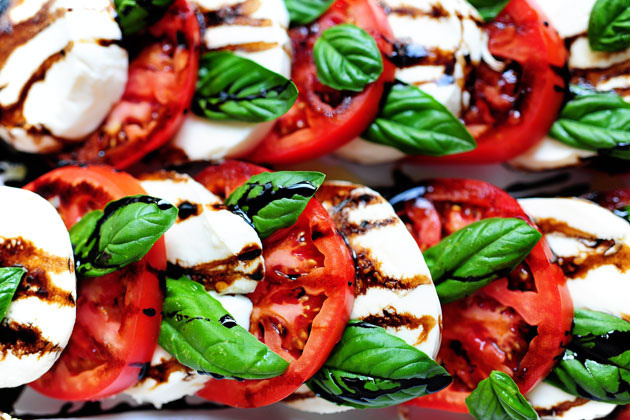 So great, now it's 9:30 at night and I'm going to need to make a late night Caprese Run. That's totally normal, right?! I hope you all have lots of fresh tomatoes in your future! Our basil plants are going crazy right now...I think Caprese might be in our near future. Yum! 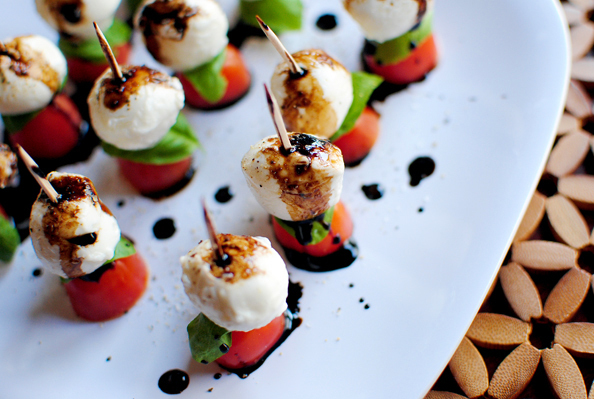 These look scrumptious - especially that caprese pasta. 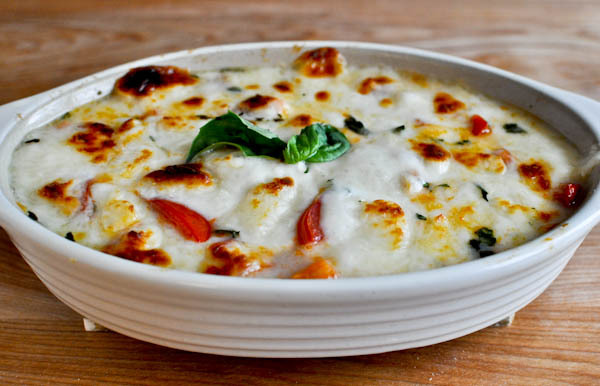 Like you and caprese, I can never resist a good pasta. It now adorns my Pinterest board waiting to be made in the future!